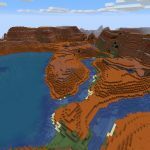 Enter the seed LASTHERE (or -676194426) in Minecraft 1.13 (Java Edition) or higher and you’ll get a beautiful combination of biomes at spawn: eroded badlands (previously known as Bryce Mesa), swamp and coral reef. The actual spawn location is on a tiny strip of beach where the badlands meet the warm ocean. Straight offshore is a large, colorful and shallow coral reef biome. 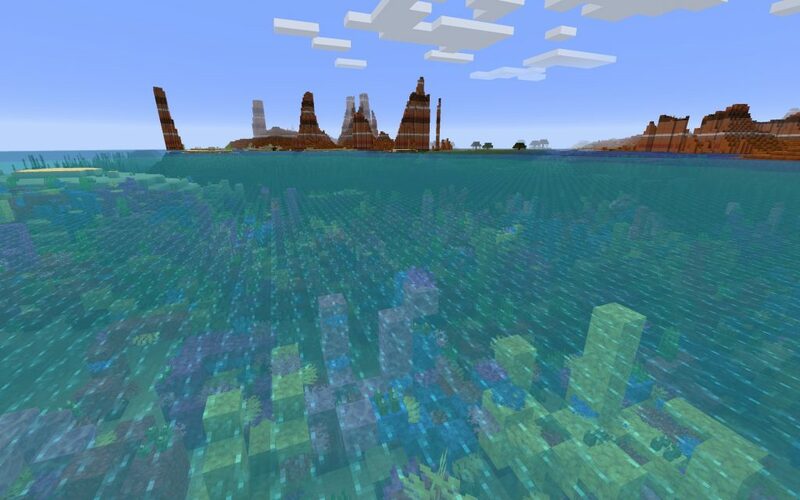 Between the spawn mesa and a neighboring mesa biome lies a swamp biome which introduces a greenish hue into the ocean. 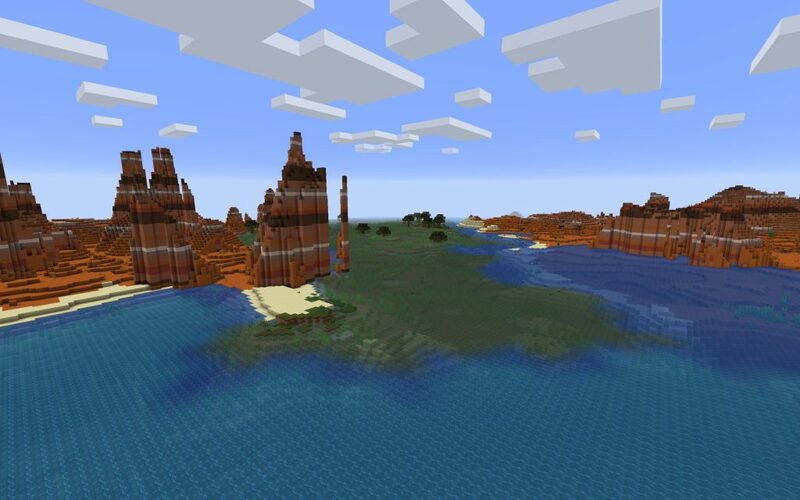 Beyond being beautiful, this Minecraft seed is a fortunate spawn location. In the eroded badlands across the swamp several abandoned mineshaft entrances are on the surface. There’s plenty of rails to grab. We haven’t started exploring below ground yet, but hope there’s some good ore and supplies for a nice survival session. 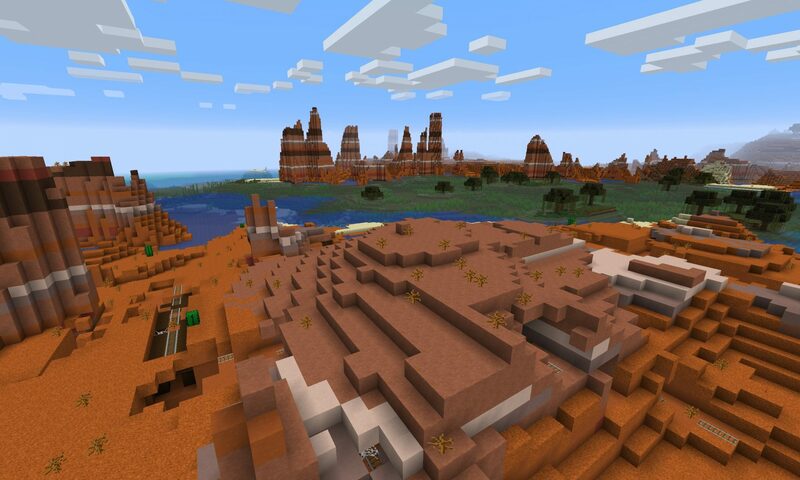 Looking back to the eroded badlands (mesa) biome from the coral reef. 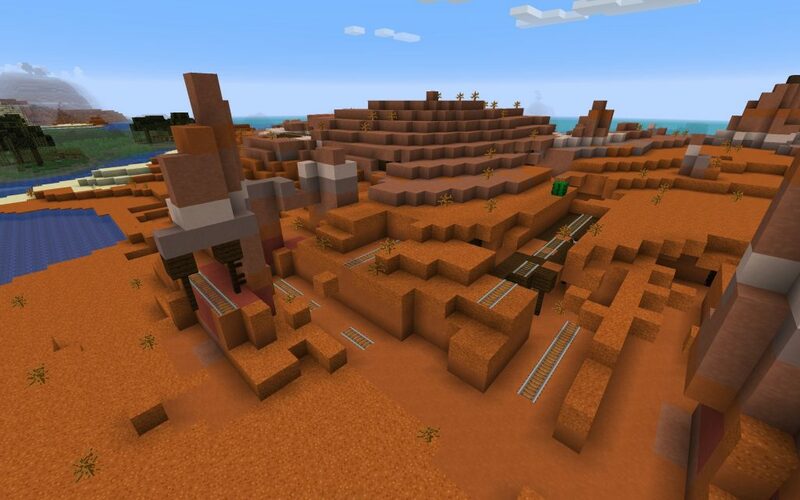 The eroded badlands biome has several abandoned mineshaft on the surface. 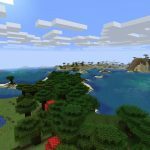 This seems like a great survival spawn, there’s trees, there’s nice blocks, etc.